Q: Could you provide our readers with a brief introduction to Petoi? A: Petoi aims to design robotic pets for the future. Our cute robots are educational, programmable and highly maneuverable. We hope to lower the barrier between high tech robotics and individual makers by affordable price and open source framework. We believe in the potential of makers and hope to exchange knowledge with the worldwide community. In the end, the technology should serve the public as a new species of pet. Q: How did you come up with the idea for Nybble? For a start, what is it? 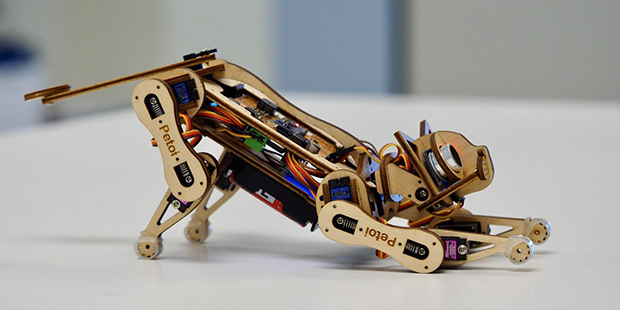 A: Nybble is a laser cut kitten that can be programmed to do versatile tasks. My initial idea was to learn hardware programming with a Raspberry Pi kit. I experimented with basic circuits, then dreamed of a robot cat that can run like Boston Dynamic’s robot dog. The first prototype was made with popsticks in one month. In the following year, I kept leaning and iterating, until I made a lifelike 3D printed cat. Because it was based on Arduino and Raspberry Pi, I named it OpenCat. However, that model was too hard to make, so I designed a simplified version, called Nybble. Q: Can you explain how exactly does it work? A: Nybble is a walking robot kitten. It has several novel design to fit such a small and lightweight robot. It remembers instincts to walk around and reacts to the environment. Its wooden body is designed as an interlocking 3D puzzle, but with much more consideration in physics and mechanics. For example, it has spring-loaded joints for shock absorption, and a tunable center of mass for balancing. 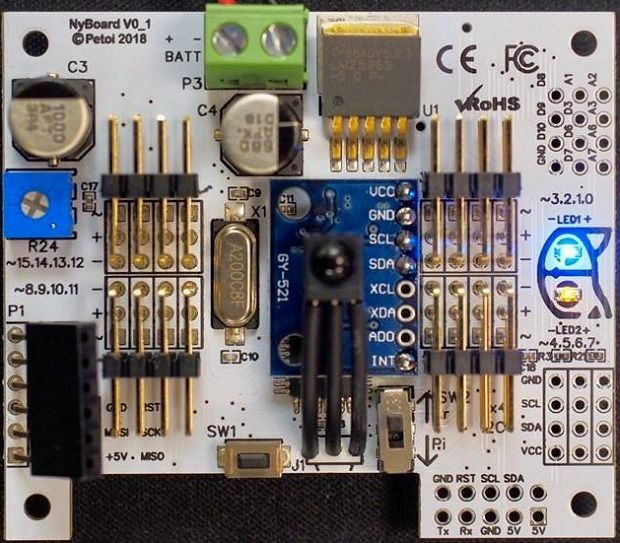 We also designed NyBoard, a customized Arduino board to generate motion patterns and follow higher level instructions, either by human control or AI. A: Nybble turned out to attract a wide audience, from kindergarten kids to retired engineers. However, it was originally designed for individual makers who wants to get a quick start with robotics. As I previously taught at a university, I also considered schools that want to launch robotics projects but have limited funds. Nybble is actually a tiger in terms of its knowledge base. It could just be a puzzle toy by the wooden frame, but I highly recommend a team with STEM background to finally make it walk. Q: What is on the roadmap for Petoi moving forward? A: Petoi started as a personal project to learn and explore the boundary of open source hardware. It’s been conflicting with my limited resources and original career path. Last year I decided to give up my faculty position and devoted all of myself to it. Currently Petoi is solely funded by the crowdfunding campaign. My priority is to fulfill the orders and initiate a community to improve the robot. Due to my expiring visa, I have to leave the US after 9 years. China has more opportunities to connect with supply chain and scale up production. I can also form a more efficient team to push the project forward. I’m working on other prototypes, and already planned several practical milestones to bring the pet from the future to more people.